As more entrepreneurs turn to the Internet to launch new businesses and product lines, they rely on a wide variety of tools to promote their company, brand their names and optimize their websites. One such device is ecommerce systems and shopping carts. These tools are designed to streamline the purchasing process, track customer data and create successful business models. When coupled with SEO (Search Engine Optimization), they are the most effective way to create an online business that achieves greater visibility, increased visitor counts and a larger conversion rate. The goals of SEO work nicely with many of the ecommerce sites, making it possible to create a successful campaign for any size business. SEO is the process of increasing a websites visibility with popular search engines such as Google, Bing and Ask. SEO seeks to do this by employing a series of organic processes such as keyword usage and most importantly, constant content. The aim of such tactics is to increase a particular websites page rank, or their position on a search engine results page. In spite of inroads made by the newest search engine, Bing, Google is still the highest ranked and most popular search engine. It is for this reason that many SEO professionals optimize website specifically for inclusion in the Google website. Google also provides Ecommerce businesses with tools such as Google Base / Google Products. Ecommerce sites are able to upload their list of products to Google to be visible on search engine results pages. (SERPs) Of course by doing so, Google provides a valuable service to users by showing them products and prices by different ecommerce sites. The formula or algorithm used by Google is largely unknown, but it seems likely that it will eventually grant ‘preferred’ status to sites that have implemented a series of their suggestions. These suggestions are mainly available in Google Webmaster Tools. 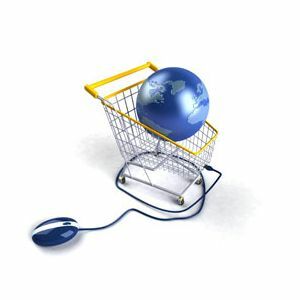 This is indicated by the recent release of several ecommerce gadgets. Similar to widgets, the Google ecommerce gadgets like Google Base/Products are designed to display pictures, price and descriptions of products on Google for users. It seems likely that they may eventually be displayed via search results pages. Online business owners who hope to take advantage of the enormous popularity of the Google search engine are encouraged to actively engage, not only in SEO, but also in ongoing implementation and use of Google Base and Google Products tools. While Google offers a line of tools aimed at creating successful business environments, there are two tools that SEO professionals recommend implementing. Google Analytics: This tool is designed to provide an online business owner with data concerning visitor information. Typical data provided includes information on how visitors located a website and what they did once they arrived. This data can in turn be used to create better SEO efforts which increase page rankings. With proper integration, Google Analytics will also be able to show sales amounts and data about the Ecommerce stores. This will ensure that the business owner knows exactly what percentage or number of sales (in dollars) is coming from different sources. The key here is to identify ROI and maximize efficiency in ad dollars spent. Google Adwords: This advertisement tool allows online businesses to quickly and cost-effectively (if implemented correctly) advertise their businesses with Google and their partners. As a part of their paid advertising portion, Google Adwords is effective. However, if managed incorrectly, it can be terribly expensive. When combined with SEO, Google Base, Analytics and Adwords can help create a positive business environment as well as increase not only the visibility of a website but the experience of its visitors. If you have an Ecommerce site and have not implemented these strategies for your online business, it may be time to speak with an Online Marketing Professional about how they can help increase your success rate. Contact us, we can help.